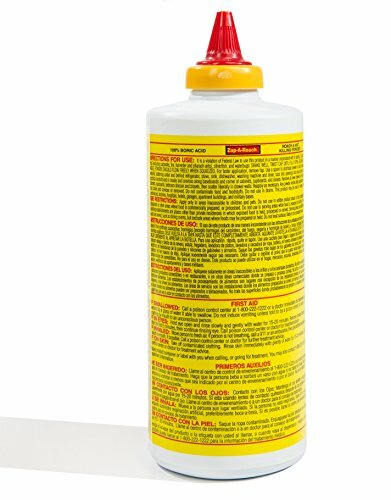 PUT THE PESTS IN THEIR PLACE: Zap-A-Roach is designed to easily eliminate some of the hardest pests to fight. Combat a roach, ant, water bug, flea, and even silver fish infestation just by spreading Zap-A-Roach through your home. Put it in all of the bugs favorite places, and in no time, see the difference Zap-A-Roach can make in your life. PROTECT YOUR HOME IN EVERY WAY: Don’t worry about ruining baseboards, flooring, or appliances with Zap-A-Roach. It is a non-staining compound, safe to use on a variety of surfaces. Toxic to bugs, but not to your home, boric acid is the perfect option to maintaining the integrity of your house. 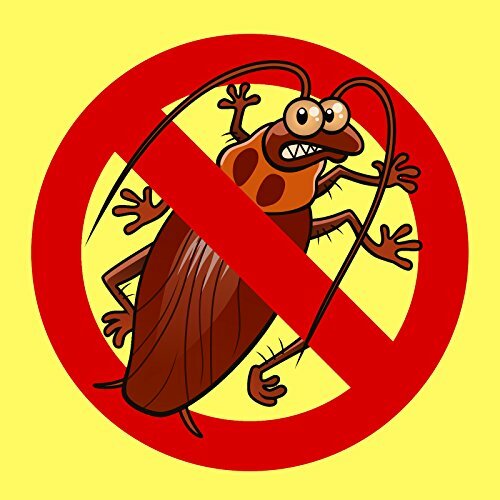 UNDETECTED PEST CONTROL: Zap-A-Roach is designed to be odorless in your home, making it perfect to use throughout the house. Family and friends will never know that you’re combatting a pest problem and the bugs will never smell it coming. You’ll never have to deal with the pungent chemical sprays again. DIRECTIONS FOR USE: To use, shake well and twist cap until fully open. Holding bottle at a 45-degree angle, powder should flow freely when squeezed. Use a spoon to distribute powder in hard to reach places. Apply liberally, scatting under and behind large appliances, pipes and drains, and in cracks and crevices along baseboards. 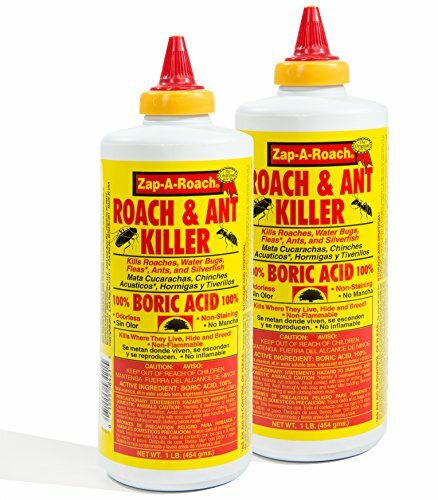 PRODUCT SPECIFICATIONS: Package contains (2) The Original Zap-A-Roach – The Original Roach and Ant Killer Since 1946. Kills roaches, water bugs, fleas, ants, and silver fish. Made of 100% Boric Acid. Odorless and Non-Staining. Net weight: 1 pound per unit, total 2 pounds. Do not use where accessible to children or pets. Do not use where food is prepared or processed. Zap-A-Roach is designed to easily eliminate some of the hardest pests to fight. Combat a roach, ant, water bug, flea, and even silver fish infestation just by spreading Zap-A-Roach through your home. Put it in all of the bugs favorite places, and in no time, see the difference Zap-A-Roach can make in your life. 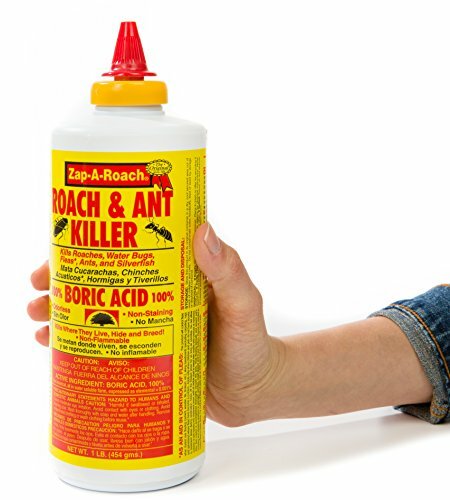 Dont worry about ruining baseboards, flooring, or appliances with Zap-A-Roach. It is a non-staining compound, safe to use on a variety of surfaces. Toxic to bugs, but not to your home, boric acid is the perfect option to maintaining the integrity of your house. Zap-A-Roach is designed to be odorless in your home, making it perfect to use throughout the house. Family and friends will never know that youre combatting a pest problem and the bugs will never smell it coming. Youll never have to deal with the pungent chemical sprays again. To use, shake well and twist cap until fully open. Holding bottle at a 45-degree angle, powder should flow freely when squeezed. Use a spoon to distribute powder in hard to reach places. Apply liberally, scatting under and behind large appliances, pipes and drains, and in cracks and crevices along baseboards. Package contains (2) The Original Zap-A-Roach The Original Roach and Ant Killer Since 1946. Kills roaches, water bugs, fleas, ants, and silver fish. Made of 100% Boric Acid. Odorless and Non-Staining. Net weight: 1 pound per unit, total 2 pounds. Do not use where accessible to children or pets. Do not use where food is prepared or processed.